A SCHOOL named in honour of Australian servicemen who fought in Tobruk during the Sec-ond World War has celebrated its 60th anniversary. 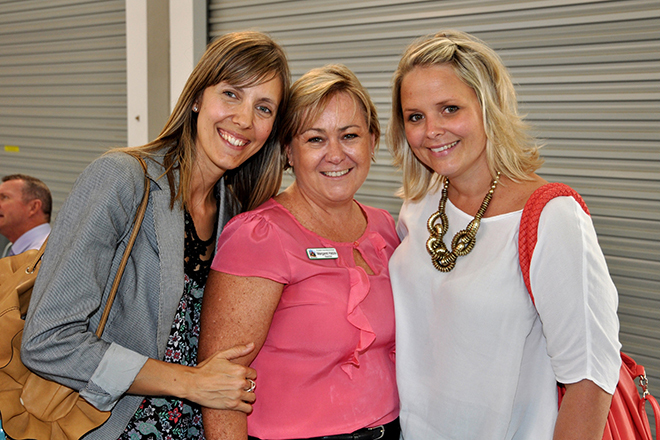 St Joseph’s Tobruk Memorial School, Beenleigh, looked to the past on October 25 to thank the people who’d made the school a reality. Archbishop Mark Coleridge of Brisbane concelebrated the Mass with parish priest Fr Anthony Girvan, assistant priest Fr Joseph Kanatt and former parish priest Fr John Kilinko. 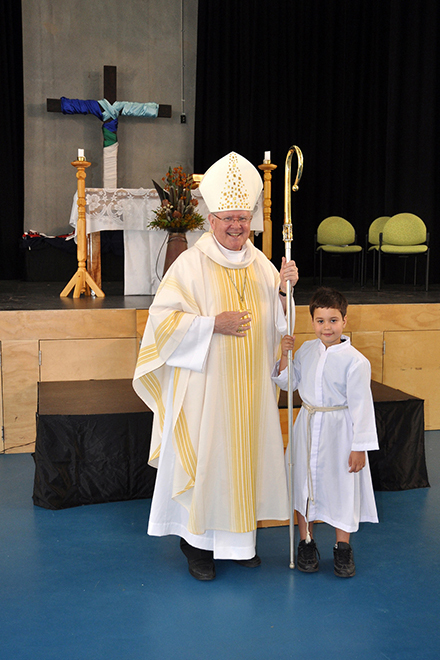 FORMER student and now Year 7 teacher Rory McBride praised the legacy of his school, St Joseph’s Tobruk Memorial School, which last week celebrated 60 years of Catholic education. 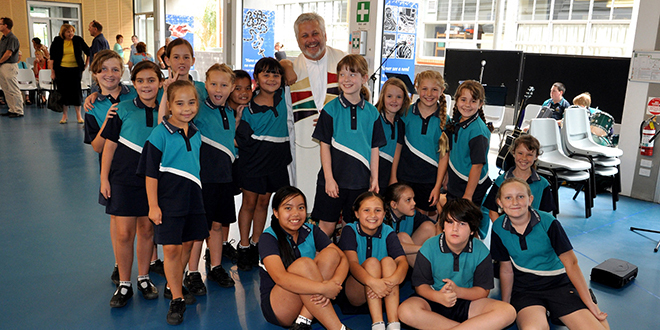 Mr McBride said the Been-leigh Catholic primary school had made a positive impact on his life. 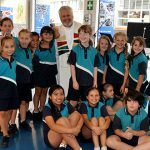 “In many ways the school has changed a great deal, there are new buildings, new faces and new technologies, but at the heart of it, St Joseph’s hasn’t changed that much at all,” he said. 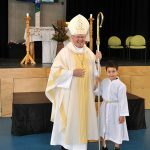 The school, affectionately called “St Joey’s” by the community, held a Thanksgiving Mass at St Patrick’s Catholic Church, Beenleigh, on October 25. 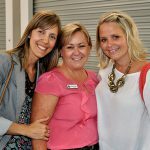 The school community also held a 1950s dinner Dance for parents, staff, past St Joey’s members and friends of the school. 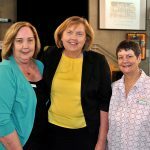 “It was also a great opportunity to say thank-you to some of the teachers that had a positive influence on my life and let them know that what they do really does make a difference,” Mr McBride said. The Thanksgiving Mass honoured all the past and present teachers, students and wider school community who contributed to the past 60 years of Catholic education. During the 1950s, parish priest Fr (later Monsignor) Owen Steele asked the Sisters of St Joseph to establish a school, originally a boarding facility for boys. 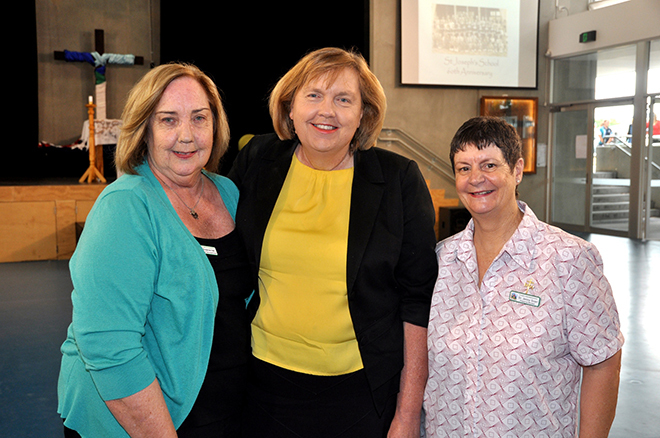 The Sisters of St Joseph established St Joseph’s in 1953, opening with 97 students including 21 boarders. Msgr Steele had served in the garrison at Tobruk before being appointed parish priest at Beaudesert. The school was built in memory of the soldiers who served in Tobruk, including Msgr Steele.